FC Barcelona Regal sent a message that echoed all around Top 16 Group F by downing Maccabi Electra Tel Aviv 77-82 at Nokia Arena on Thursday. Barcelona reached the Top 16's halfway mark with a 6-1 record to remain alone in first place. Maccabi dropped to 2-5. 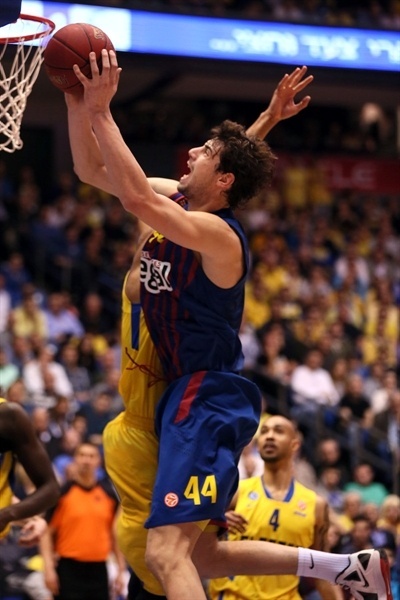 Ante Tomic paced the winners with 18 points. 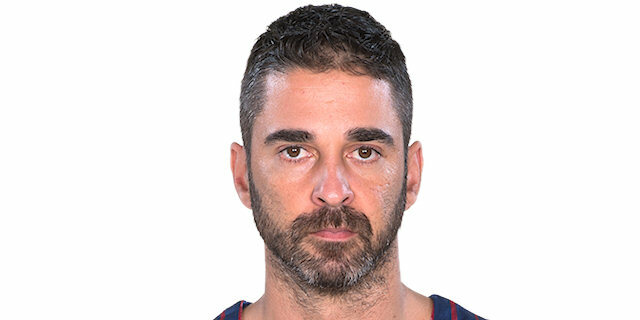 Juan Carlos Navarro and former Maccabi legend Sarunas Jasikevicius each added 14 for Barcelona. 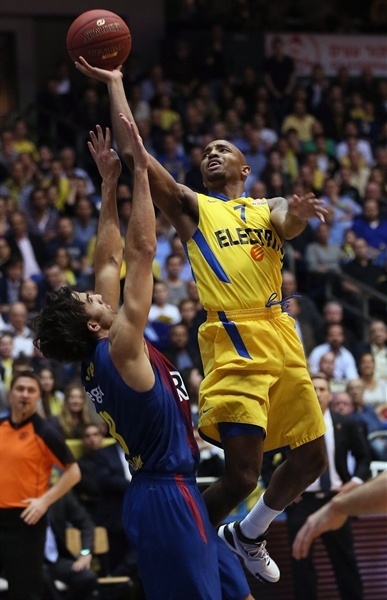 Ricky Hickman led Maccabi with 19 points. Shawn James added 16 while Devin Smith and Yogev Oyahon each had 11 for the hosts. 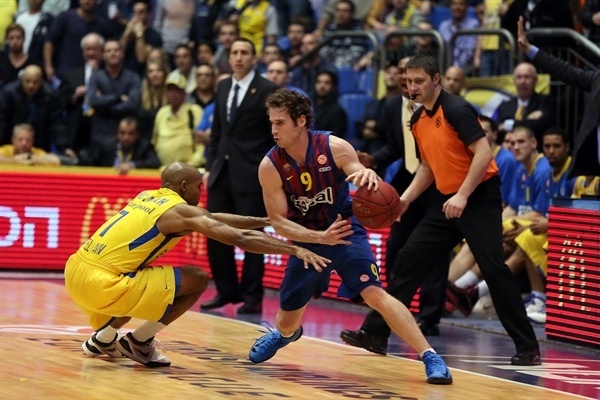 Maccabi opened the game with a 7-2 run, but Barcelona improved its defense and a three-pointer by Erazem Lorbek gave the guests their first lead, 13-14. Three-pointers by David Logan and Oyahon allowed Maccabi to get a 22-20 edge after 10 minutes. 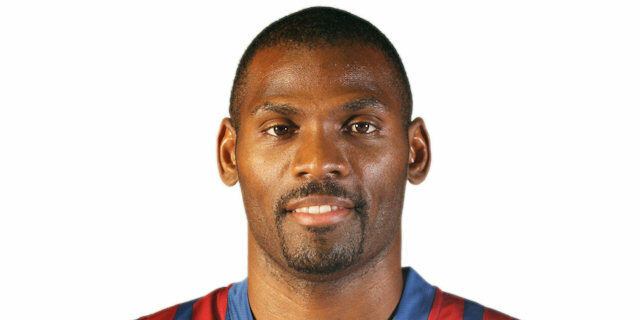 Barcelona found a go-to guy in Jasikevicius, who had 10 points in less than eight minutes to give Barcelona a 31-37 advantage. James and Hickman brought Maccabi within 39-41 at halftime. 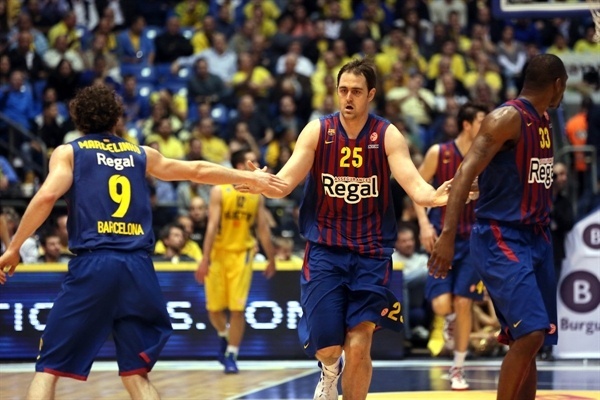 Navarro and Tomic combined for 18 third-quarter points as Barcelona boosted its margin to 53-67 after 30 minutes. A late run brought Maccabi within 77-80, but Tomic sealed the outcome from the foul line with 10.3 seconds left. In a pre-game ceremony, Maccabi honored guards Motti Aroesti, Guy Goodes, Chen Lippin, who were inducted to the club's Hall of Fame, and paid tribute to the recently deceased Jim Boatwright and Howie Lassoff with a short video. Hickman got Maccabi going with an acrobatic driving layup, but Victor Sada stepped up with a coast-to-coast basket for a 2-2 tie. Devin Smith struck from downtown and another driving layup by Hickman boosted Maccabi's lead to 7-2. Smith kept pacing the hosts with a stop-and-pop jumper, but Pete Mickeal erased it at the other end and soon added a three-pointer to bring Barcelona within 9-7. Maccabi kept running its offense through Smith, as Mickeal had picked up 2 quick fouls in the opening minute. He hit a close shot, but a layup by Ante Tomic and a 'bomba' by Navarro tied it at 11-11. Mickeal had to sit down with 3 fouls. Darko Planinic scored in the low post and a corner triple by Lorbek gave Barcelona its first lead, 13-14. Planinic and Sada traded layups and a jump hook by Nate Jawai put the guests back ahead, 16-18. Logan and Oyahon buried back-to-back three-pointers and a final basket set up by Marcelinho Huertas for Jawai kept Barcelona within 22-20 after 10 minutes. David Logan insisted from downtown early in the second quarter, but Barcelona adjusted its defense and refused to allow open shots. Jasikevicius stepped up with a five-meter jumper as Barcelona tried twin point guards with him and Huertas together on court. C.J. Wallace shined with a tip-in and followed that with a triple for a 25-27 Barcelona lead. 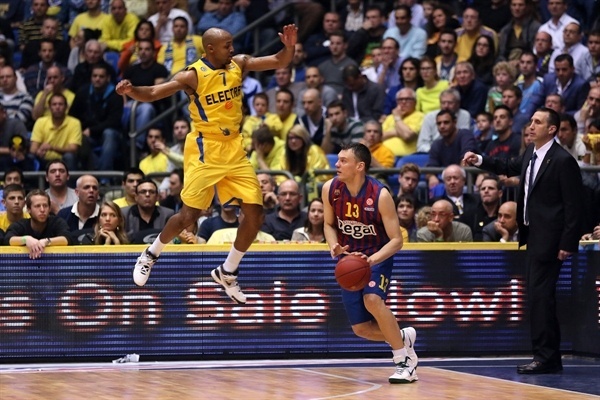 Jasikevicius nailed a three-pointer to cap a 0-10 run as Maccabi called timeout at 25-30. Sylven Landesberg tried to change things with a quick basket and a put-back dunk by Shawn James got the crowd involved at 29-30. Jasikevicius hit a baseline jumper, Logan downed a floating shot and an alley-oop layup by Tomic gave Barcelona a 31-34 edge. A red-hot Jasikevicius nailed another triple, but free throws by Hickman and James kept Maccabi within 34-37. James scored around the basket and Hickman bettered Jawai's layup with a three-pointer. Navarro buried a jumper in transition to put Barcelona back ahead, 39-41, at halftime. Both teams struggled to score after the break until Navarro shined with a step-back jumper. He soon added a driving layup to boost Barcelona's lead to 39-45. 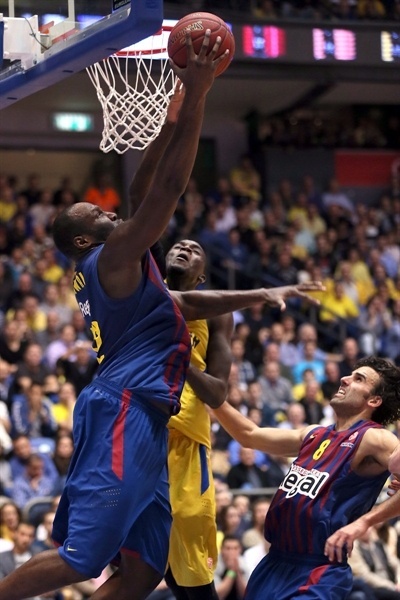 A big block by Jawai allowed Sada to hit a floating jumper at the other end, before Maccabi called timeout at 39-47. Navarro kept pacing Barcelona with a bomb from downtown to cap a 0-9 run. James tried to change things with a three-point play that a red-hot Navarro erased with a three-pointer. 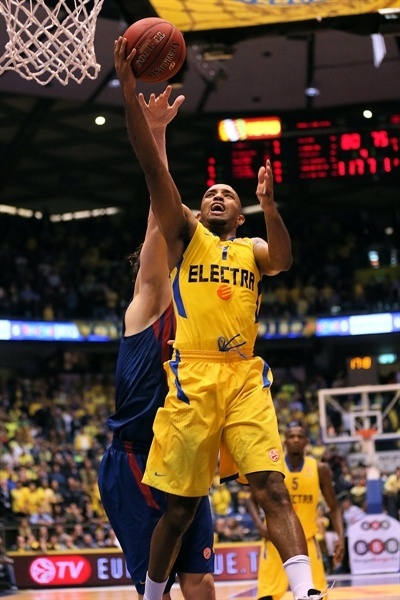 James dunked and Hickman improved on Mickeal's basket with a three-pointer that kept Maccabi within 47-55. Oyahon took over with an acrobatic layup. After Lorbek banked in a mid-range shot, a driving basket by Smith made it a 6-point game. Tomic beat the shot-clock buzzer with a layup as Maccabi started to miss open shots. Tomic scored again to make it a double-digit game, 51-61. Jasikevicius came off the bench and immediately delivered with a jumper. Tomic traded free throws with Planinic and silenced the crowd with a dunk that fixed the score at 53-67 through three quarters. Barcelona started to use long possessions to run the game clock down. Maccabi tried to speed up the game tempo, but shots did not fall in. James tried to ignite a comeback with free throws and a fast break layup by Oyahon caused Barcelona to call timeout at 57-67. The guests had been scoreless for more than four minutes until Huertas buried a three-pointer. 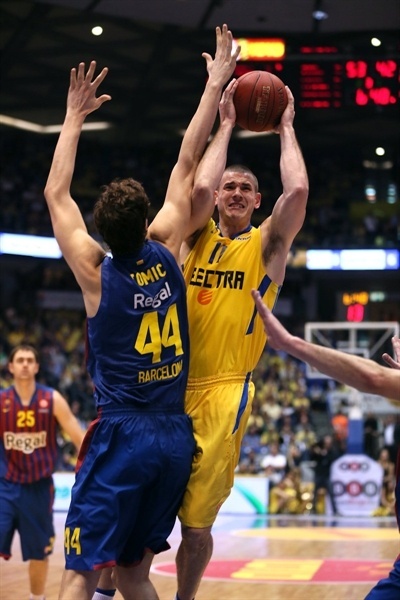 Guy Pnini answered from downtown, but an off-balance jumper by Tomic kept Barcelona way ahead, 60-72. Smith shined with a high-flying layup, before Jasikevicius and James traded baskets and a put-back jump hook by Tomic created a 64-78 Barcelona margin. Oyahon and Hickman downed a three-pointer and James dunked. By the time Hickman scored again, Maccabi got within 75-80 with 46 seconds to go. 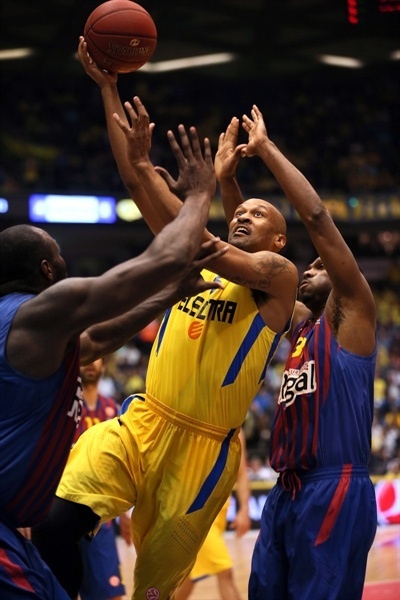 Barcelona picked up a 24-second violation and Hickman scored in penetration for a 77-80 Maccabi deficit with 16.4 seconds left. Maccabi sent Tomic to the foul line and he made both attempts with 10.3 seconds to go, enough to seal the outcome. "We're in a very difficult situation now. We need five more wins now and right now I'm not sure where we're going to collect them. Barcelona is a better team. We had a bad third quarter and three good quarters aren't enough to beat such a team. Our season isn't over. We still have a chance and as long as we have one, we're going to fight." "We are happy with this win. It is a pleasure to come back here once again. Nokia Arena is a beautiful arena and Maccabi has great fans. It was a close game in the first half, in which we never found a good defensive balance. We played much better from the start of the third quarter, in which we only had 1 turnover. We played well on offense and defense and managed to get the lead. It was a strange fourth quarter. The game went in the same direction until the final 70 seconds, when we had an 11-point lead. 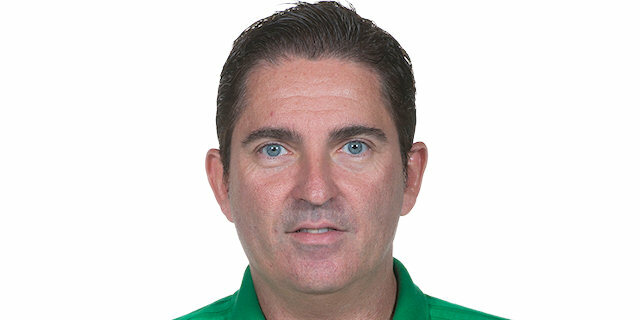 I will try to forget the last 1:10, that is what I told my players because that was truly bad. 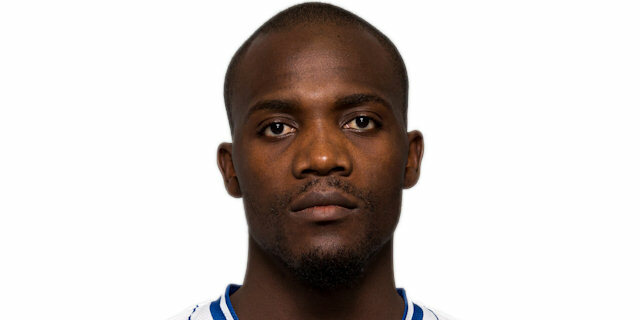 I have a lot of respect for Maccabi, its tradition, coach and team. It was not an easy night for them after consecutive 1-point home losses. This was an important game for Maccabi and they gave everything they had tonight. They played very well in the first defensive line. Their big men played very well, as well as players like Hickman and Smith. It was not easy for us. It was also a tough game for us. It was not easy for us to focus on this game after winning the Copa del Rey last weekend. In the first half, we didn't play at the level of intensity we usually have - and if you are not intense in this sport, you don't have any options. We played better after that, at our level." "It's a very frustrating loss because we played well. Against a team like Barcelona if you don't play good for 40 minutes, it's very difficult to win. That we didn't do tonight. When you give them an opportunity you end up losing. We had to rebound the ball better. The season isn't over yet. 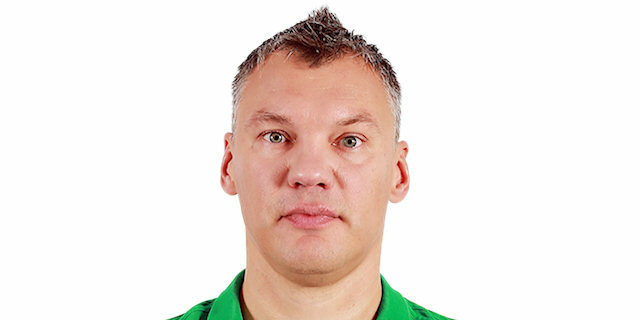 There are seven more games to play and we will do our best and we’ll summarize things after that." "We're very happy to finish the first round with this win. I love playing here. The atmosphere is great. Fans really get you in the game. Maccabi is a tough team. We knew they are in a difficult spot and that they'll fight to get this win. You can't make mistakes against Maccabi, especially in this arena. In the third quarter we had only 1 turnover and that was the key for the run. In the last quarter we made 5 turnovers and it allowed them to come back, but we were focused enough to keep this very important win." "I think we had a good game on a very difficult court. We are very happy with this win after a tough week in Vitoria. We have to carry on playing like this. The team is getting better, little by little. 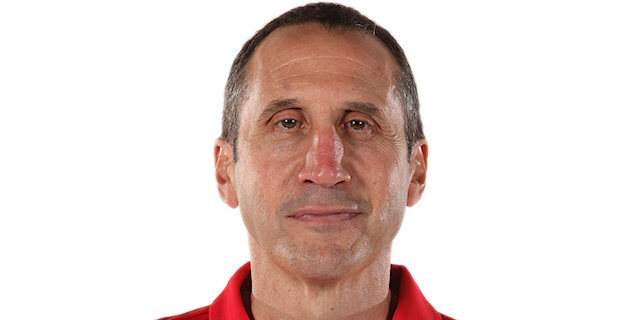 I hope we can carry on getting wins." "There was an important change in the second half, when we stopped making so many turnovers. That's when we managed to break the game. I am very happy with this win. It is a very important one - more important than we thought in the beginning."